It’s been a pretty interesting transition, moving to a different country… and yes, I know the culture, and I speak the language to an extent, I could hold up a conversation, but my vocabulary is limited. So, it’s kind hard, a lot of challenges, for I try to have meaningful conversations, and I succeed to a certain point… it has most definitely been challenging. For my old soul seeks knowledge and growth, playing such a significant role to my being, and right now I can’t help be feel partially limited, by not being able to engage in conversation to the extend I would like, but it has most definitely given me the ability to find other means of seeking knowledge and expressing myself.. pushing myself in ways I never did, which is beautiful. I’m most definitely have changed in many ways to do the environment, my surroundings… the people. So, I had a friend visit me for a week, known her since highschool; we were never really close, but never had a problem, we were both just there… no hate, no animosity… and it was only when we reconnected within the last 2 years, I would say, that we actually realized how relatable we were, that is, the way in which we thought and experienced life as it was… but, this one week together truly solidified the understanding we have for one and other… the connection of who it is we really on a deeper level, without actually getting to that deeper level. Yes, there were moment of saddness and tears, life experiences shared, advice offered, by both sides… but, it was the talking about nothing, yet everything that truly created the bond. For it allowed us to be ourselves without judgment, no restrictions… just adult children at play… saying the most ridiculous of things while understanding the value behind that which is being shared. As much as we appreciated the direct upfront wisdom we offered one and other, we appreciated the intelligence behind the humor which created our life for that week. Conversations about nothing, but everything… appreciating the level of intelligent behind simplity… that is, conversations that mean nothing, while meaning everything, for they open a door to the level of freedom behind one’s soul. For rather than judging and forming conclusions for that which we found humorous, we valued it more than ever… accepting its ridiculousness and not over complicating, creating any additional meaning or story behind it, for it just is what it is, nothing more and nothing less… and it was hilarious, non-stop laughter, to the point our faces would hurt the following day, and I swear I got some more abs out of it. 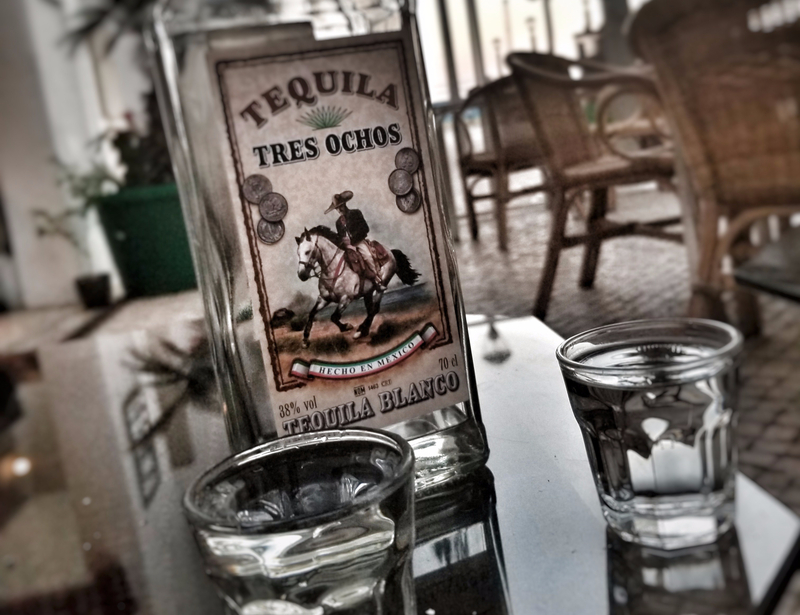 At first, we blamed the tequila… but, it definitely wasn’t the tequila… it was living without bias, without making it something it not, just laughing at the most ridiculous of things, living as though we were kids again… free. Only a few people understand me… truly get me… my is being, which I spoken briefly about in a prior post, The Battle, but this is different, this is understanding and adapting to that which surrounds you, accepting that which it brings about within you, yet knowing that that is who you are… and there are people that get it, and people that don’t… people that judge based on it, and people that grasp the intention behind it… the value in it… and, not many people can do that, so when there are those that get it… truly get it… you hold them close, because they are hard to come by. And, although you may be closer to those that don’t completely understand who you are, those that do, are on a whole different level, for they understand a part of our soul that others don’t… they bring out an intellect within you, that only few can understand.. a way of being that doesn’t compromise who you are or what you trying to accomplish, but rather solidifies the vary reason why you can… the ability to simplify life and find humor in the simpliest of forms… happinesses in the most difficult of times… while making it effortless and without turning it into something that which is not; it is finding intelligence, in that which is unintelligible… entertainment in the most ridiculous of conversations, laughing at the most ridiculous of truths, the nonsense behind it all, making life a lot less serious and a lot more interesting. And, I honestly needed that, I was beginning to hit a road block, partially losing my creative edge, feeling a lack of inspiration, given the level of conversation around me… that is, the intellectual and foundational level… as mentioned prior, I am limited to the degree of conversation due to various factors. So, having a friend, especially one that got it, was gold… it was exactly what I needed, actually we both needed it… to just live in nonsense on an intellectual level with a ridiculous amount of laughter… and, just live and be free.